This EP from Dutch archival imprint Music From Memory is every bit as glassy-eyed and loved-up as the rest of their left-of-centre, Balearic-minded catalogue. 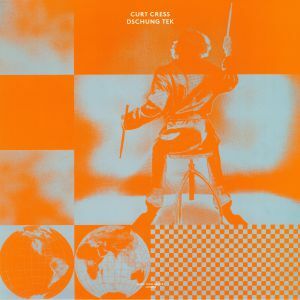 German drummer and composer Curt Cress first released “Dschung Tess” in 1992, layering his own dense tribal drums across a tropical, ambient house and dream house influenced backing track on the brilliant “Long Version”, before stripping it back to a loved-up, Ibiza-friendly house cut on the “No Live Drums” version. Both mixes can be found on this reissue, alongside a trio of similarly percussive, tropical-minded cuts from the artist’s 1983 LP, “Avanti”. All three are ace and almost as good as the more floor-focused title track. Originally pressed on a now very hard to find 7”, this gem crosses over the dub with disco with the rock and the wave. More Talking Dreads than Heads. Dug out for MFM by Satoshi Yamamura. Comes with original Dub mix and new remixes. 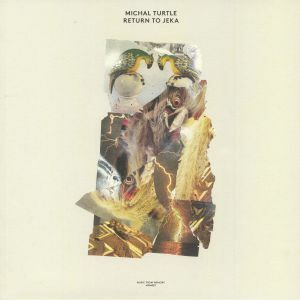 Msic From Memory took a deep dive into the archives of obscure British multi-instrumentalist Mike Turtle, resurfacing with a fine double-album of largely previously unheard cuts. Two years on they’ve taken another stroll through Turtle’s well-stocked vault, resulting in another essential collection of quirky cuts. Check, for example, the psychedelic patchwork “Reincarnation”, where backwards drums do battle with exotic Indian samples, or the delay-laden, lo-fi synth-pop pulse of “Uiko’s Return to Jeka”, which boasts strange spoken word vocals from Turtle and South African style juju guitar solos. You’ll find these kinds of imaginative experiments throughout; tracks that really shouldn’t work, but instead entertain, excite and inspire in equal measure. 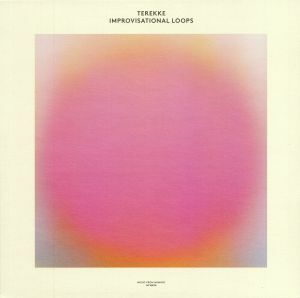 Terekke drifts gracefully onto Music From Memory with a long player of looping ambient pad pressure. The recording of ‘Improvisational Loops’ began in 2012 during yoga classes at Body Actualized Center in NYC. In the spirit of past ‘New Age’ or Minimal music, it aims to open up a space within the room giving the listener a chance to explore inward or outward. It was recorded using a digital synthesizer, reverb, and looper. Music From Memory return, this time with four tracks drawn from Virgil ‘Vincent’ Work Jnr’s little-known cassette only debut from 1987. 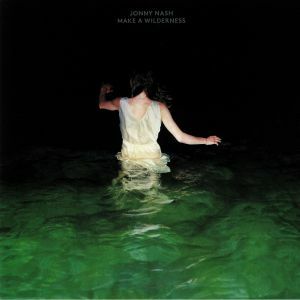 This album reflects a more stripped back and raw musical approach from the St. Louis musician. The ‘Fast Forward’ sessions grew out of a series of late night jams with Vincent’s brother Scott who was then living in Kansas. With nothing planned in advance and no written music involved in the final recording sessions, the songs that would form ‘Fast Forward’ very much evolved out of improvisation. As Virgil himself explains, the title of the album in fact came about because it felt “as if I had fast forwarded to a different sound”. Although the album received a good response from local radio DJs and music magazines, the album sadly never gained enough momentum or demand for a further run of copies. Fast forward to 2017, exactly thirty years are their production, and Music From Memory are delighted to be able to finally make Vincent’s music commercially available again. Having thrilled dusty-fingered crate diggers with a reissue of Denis Mpunga and Paul K’s impossible-to-find mid-’80s cassette album Criola – an unusual but rather fine combination of post-punk and traditional Congolese music – Music from Memory has decided to give some of the tracks the remix treatment. As you’d expect, there’s many more hits than misses. Dutch rising star Dazion delivers a wonderfully cosmic revision of “Intermezzo B” full of fluttering new age synth lines and drum machine polyrhythms, while Tolouse Low Trax turns “Veronika” into a woozy and dreamy chunk of dub-flecked, loved-up downtempo bliss. Late night dancefloor thrills are provided by Interstellar Funk’s intergalactic tribal techno take on “Intermezzo 2” and Prins Emmanuel’s tactile take on “KWEI!”, which sits somewhere between dub disco, boogie and proto-house.